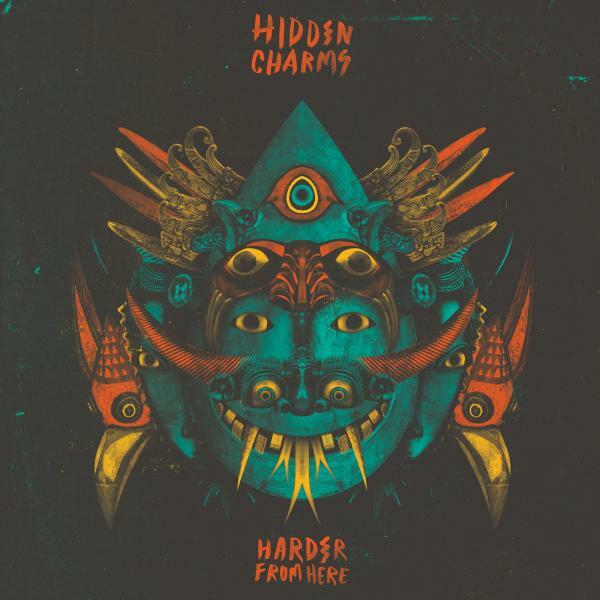 Making a huge statement of intent with this new single, Hidden Charms sound more confident than ever before. Mounting a strong case for the title of UK’s most exciting guitar band, the 4 piece carefully hint at the psych-tinged, effervescent indie rock of their previous releases, but ‘I Just Wanna Be Left Alone’ is the sound of a band moving forward. Written about the the claustrophobic nature of modern society - this new single is the sound of a band experimenting, finely tuning their craft - taking cues from from the past, but ultimately strengthening their grip on a fully-formed, modern rock n’ roll sound. Welding rollicking fret work together with an undeniably groovy rhythm section - Hidden Charms are the real deal. Delivering propulsive, urgent rock n’ roll both on record and in their fierce live performances, the South London based quartet have carved out something totally unique - the secret of which lies in their powerful bond as musicians, their youthful energy, and their tireless search for new ways to create the music they love. Capable of zigzagging from the sinister; as prowling guitar riffs snarl alongside thundering tribal drums - to the uplifting; as gritty dual vocals reach their soulful peak with melodies you’ll be humming down the shops and singing in the shower. Speaking on the release of the new single, the band said: "I think the song is about feeling suffocated in the city. From the current political climate to today's over populated planet you can't help but feel claustrophobic in this modern world of technology - where everything and everyone are instantly available to you. Isolation if a long forgotten gift."